I grew up in a very sporty family, surrounded by many kind of different sports. My first steps into the world of sports I did in athletics, gymnastics and later on in swimming. 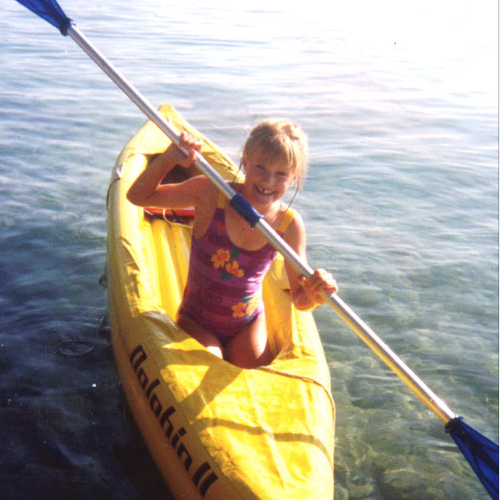 At the age of 11 I started kayaking. At the beginning it was just for fun, going on the water, paddling with my 3 brothers and friends. I also took part in many national running competitions until 16. I was very successful and soon my room was full of prize cups and medals. At the age of 16 I decided to kayak professionally and became a member of the Austrian Nationalteam. 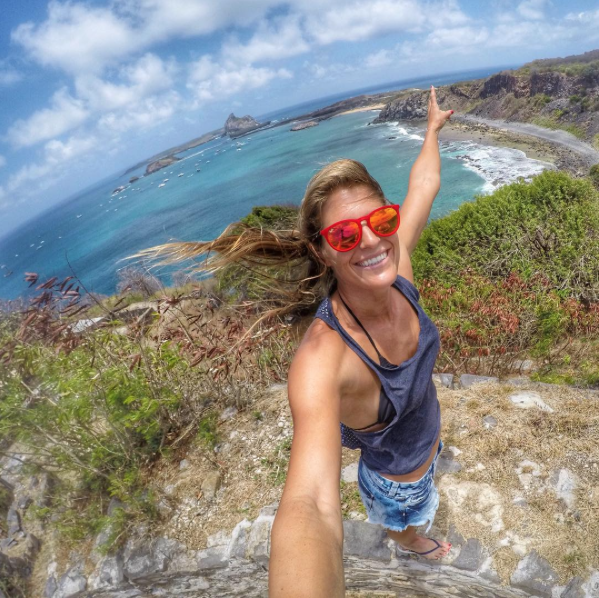 If you decide doing sports as a professional, you have to give up a lot of your private life. I am very lucky to have a very understanding family and friends who give me the best support I could ever have. To be successful, it is necessary to work hard and purposefully on your goals. It’s a very hard job and that’s why it would not work without this support to be in the best shape. If you are in your kayak you feel free, happy and strong. 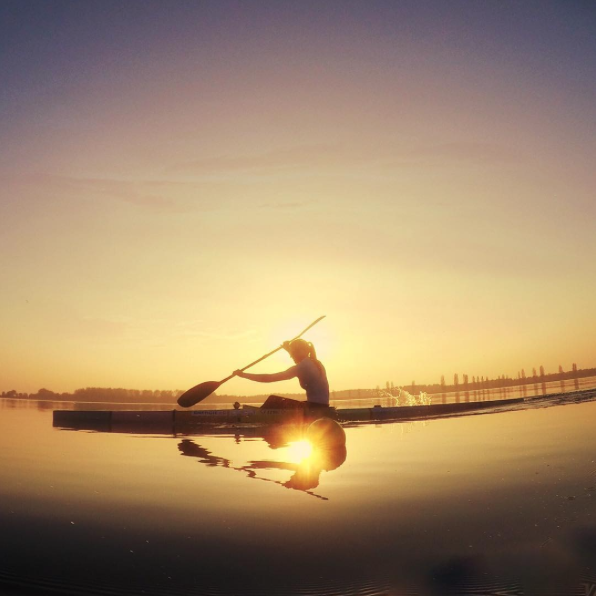 Paddling is so close to nature. I love being outdoors and having a close connection to nature. I like the water, the intensity and the competition. I like to get faster and see how to improve in sport. It‘s a very hard and powerful kind of sports. Unfortunately there are not many kayakers in Austria and we don’t have so many chances to try different boats with different people. Since 2004 I have always been racing in international competitions in the Kayak Double (K2). 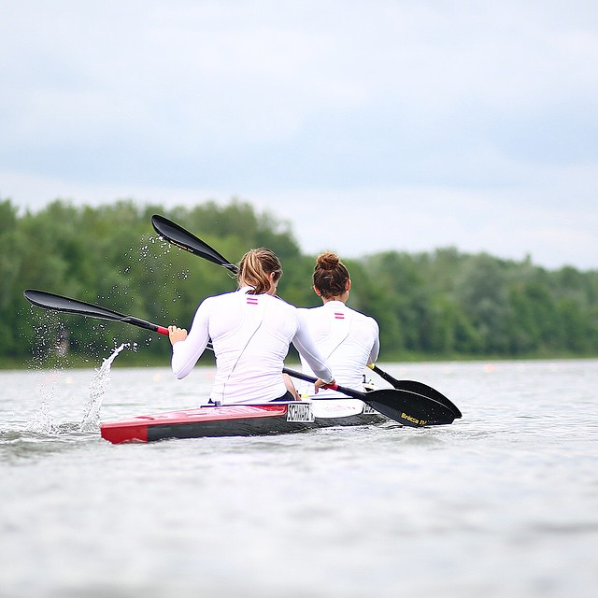 I like to paddle in a team boat feeling my teammate – the power, the rhythm and the harmony in the boat. 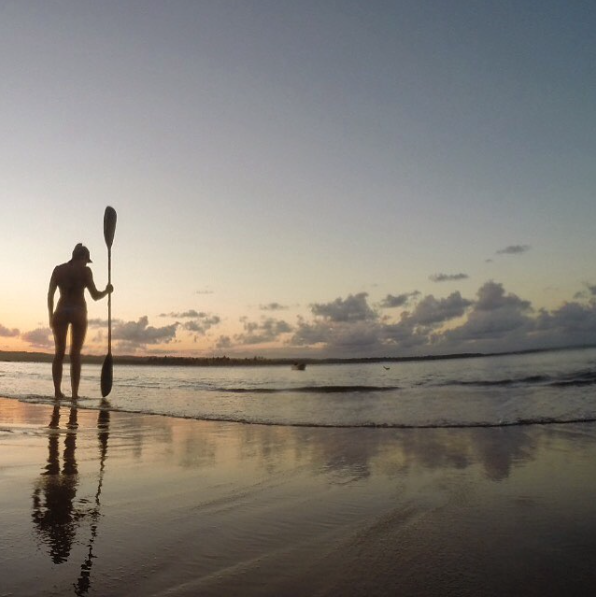 The kayak sport includes a lot of power, balance and endurance. Over the distances 200m and 500m you can’t lose focus and everything has to be on point, especially the synchrony between the two paddlers in the double kayak, which is my job. My first real success came in the year 2005, when i won my first Silver Medal in the Senior World Championships at the age of 19. I got very motivated and practised more and more to become better. 2010 I got a Bronze Medal and 2011 i could celebrate the World Champion title and still holding the World Record over this distance. I also competed in 3 Olympic Games. In Beijing 2008 I finished 9th in the Final and 2012 in London I got 5th in a very close race. 2016 I qualified for my 3rd Olympic Games, but unfortunately I broke my shoulder 2 ½ months before and I had to race injured. After all I still qualified for the Semifinal. At the moment I am in the Austrian military as a sporting soldier. This is the best opportunity in Austria to focus all your energy in the training. 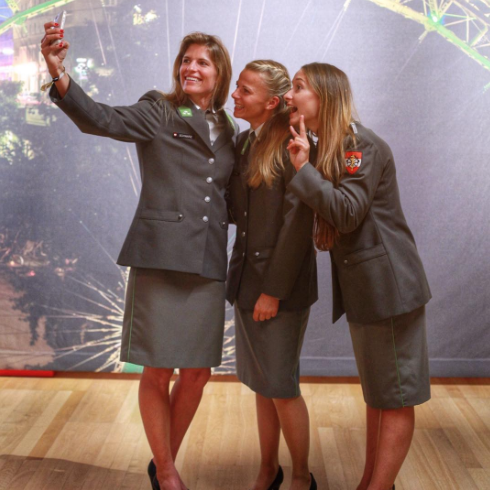 I can train all day and get the best support from the Austrian military. 2016 I finished my education to become a primary school teacher, and can call myself Bachelor of Education. I also graduated as certified instructor for fitness approved by the State and finished my diploma as a Dipl. Body Vital Coach. My day is strictly planned. I am mentally focused on my work achieving my goals. I always spend a lot of time abroad in training camps fully concentrated in the preparation of my training lessons. I learned how to push my body beyond the maximum – every single day in all the three to four training sessions. It’s not easy but you learn how to live with the pain. I’m really passionate in my career and that’s why I work really hard. Be more self-confident and figure out what you expect from your life. Don’t let other people live your life. Make your own decisions and your own mistakes. Learn to stay away from people, who let you down and stick to the ones, who want the best for you. I want people to understand that there is always a way to make whatever we want in our lives. Nothing is impossible!! !